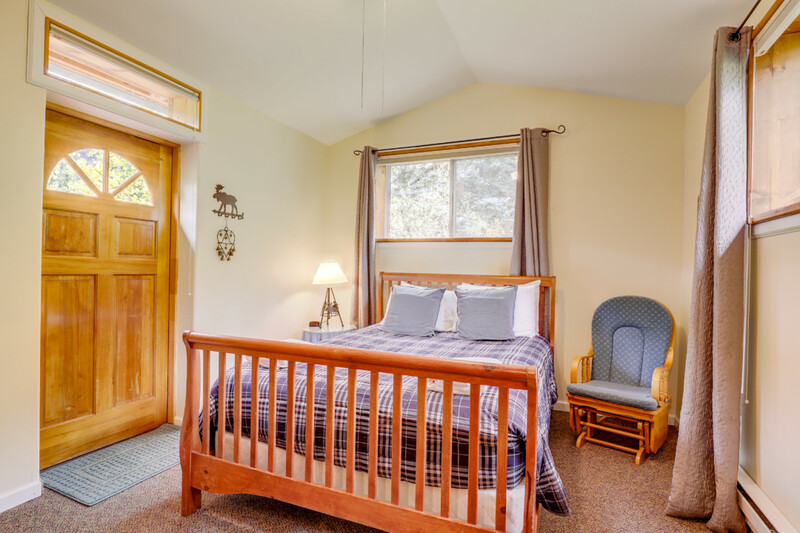 This cozy and secluded cottage provides the perfect place for a couple’s getaway, or for anyone hoping to spend some private time of reflection with the Lord. 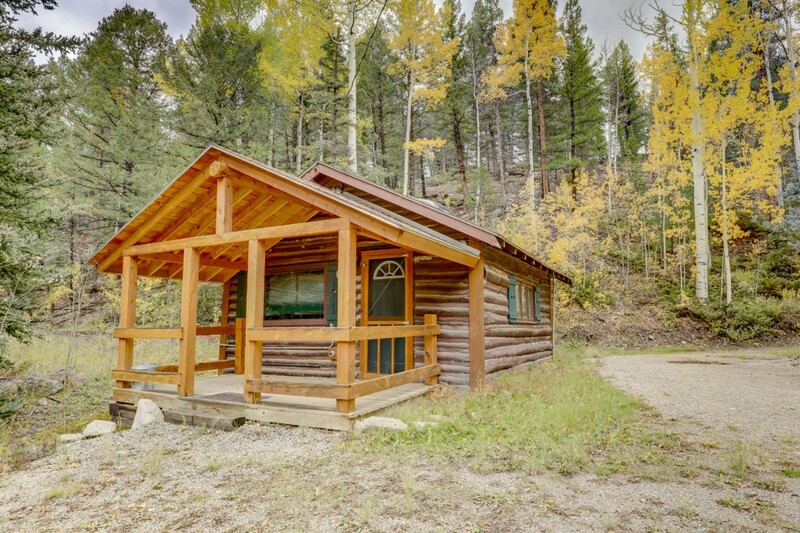 Often referred to as “The Honeymooner’s Cabin”, this cottage features a queen-sized bed, wood stove, full bathroom, and kitchenette. 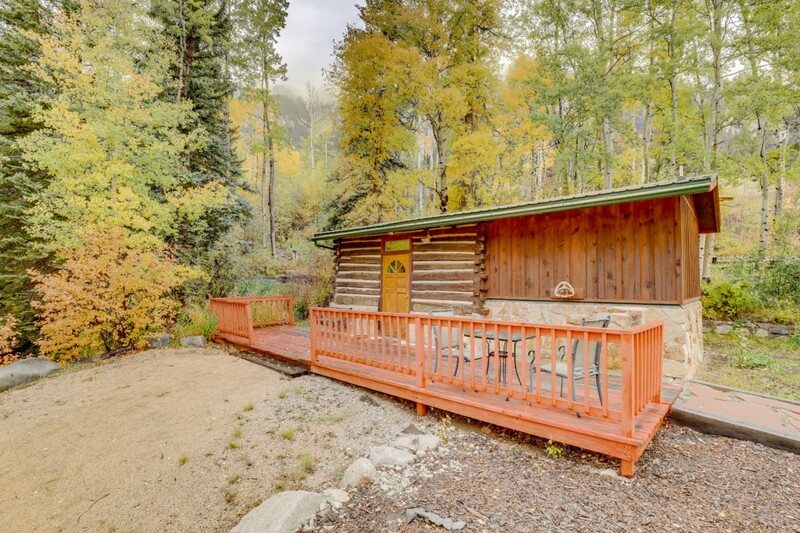 Located on Cottonwood Creek, guests can hear the gentle sounds of bubbling water from the serene front porch of this tranquil cottage. Pioneer is one of the oldest buildings still standing in Chaffee County. 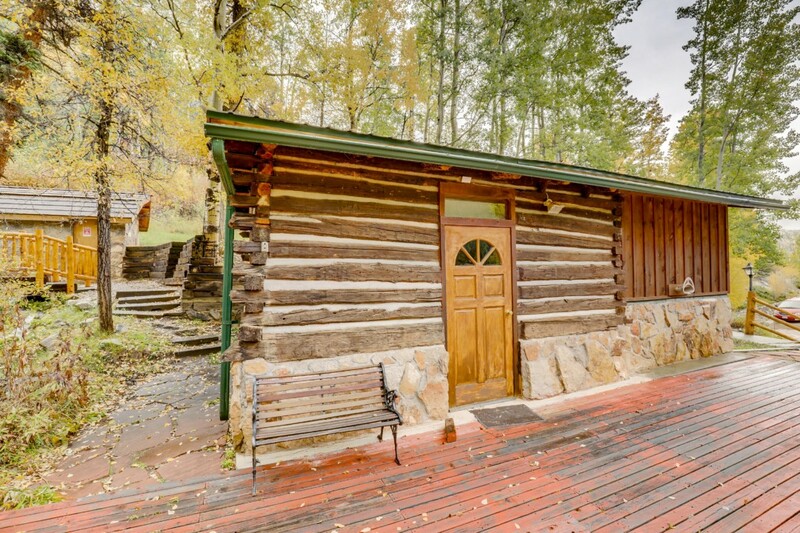 You will feel the history of this rustic cottage when you see the original wood siding still in place. Fully renovated and restored, the cottage features a sweet front porch where you can see and hear the natural mountain spring which feeds our ponds below. 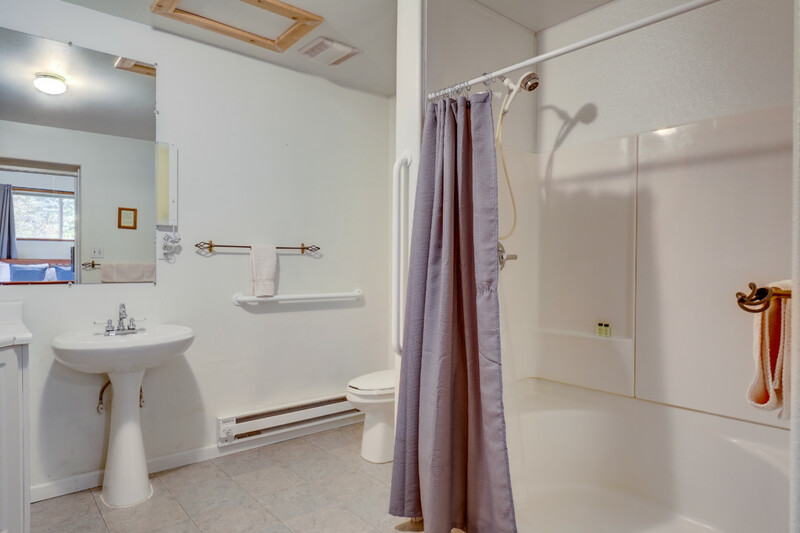 The main room features a queen-sized bed and a spacious bathroom with a full walk-in shower.